JoAnn Hutchings (Josephine Ann Wickey) Tuesday, January 29th, 2019; received into the fullness of Christ’s resurrection promised in baptism. Madonna Mae Wickey (deceased,) was two years old and (Fr.) Harold Joseph Wickey (deceased) was one year old when JoAnn was born November 23rd, 1930. Nine years past and JoAnn’s baby brother, Gerard Thomas Wickey was born. JoAnn’s youngest sister, Carol Justine Wickey, was born two years later. JoAnn loved her father Harold Aloysious Wickey, her mother Mary Margaret Sewell, her brothers, sisters and many dear nieces and nephews. JoAnn’s mother was fond of saying that she felt she had raised two families: Donna, Harold & JoAnn, and then; Gerry & Carol. In selfless love, JoAnn was fully devoted to her husband; William A. Hutchings. Together they were blessed with four “rambunctious” boys; Scott W. Hutchings who, with his wife Kristi, live in Bucyrus, Kansas, Paul J. Hutchings who, with his wife MyLinda live in Tavares, Florida, Patrick G. Hutchings, who with his soul companion Tony Estrada live in Los Angeles, California, and Joel V. Hutchings, who with his wife, Joyce, live in Bucyrus, Kansas. JoAnn adores her grandchildren; Kyle, Betsi, Christopher, Treah, Kayla; and great-grandchildren, Parker and Ivy. JoAnn graduated from Bishop Ward High school and for a time worked at Hallmark Cards. 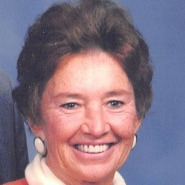 She dedicated many years volunteering as a nurse's aide and at Rockhurst High School. She cherished the family cabin in the Ozarks and enjoyed watching her four boys swimming, water skiing, and exploring with friends. JoAnn loved gardening, reading, sewing, playing tennis, big sandy beaches, and fat Christmas trees; most especially, she loved keeping a warm home for family and friends. In celebration of their 50th wedding anniversary, JoAnn and Bill gathered the entire family for a fun filled trip to Maui, Hawaii. Vigil service will be held at Porter Funeral Homes & Crematory in Lenexa on Monday, February 4th beginning at 6PM. Funeral Liturgy will be held at Cure’ of Ars Catholic Church Tuesday, February 5th beginning at 10AM. In lieu of flowers, contributions can be made in JoAnn’s memory to: Catholic Charities of Kansas City and/or the Kansas City Rescue Mission. Think god the family during this difficult time! It was my privilege to be associated with the wonderful Hutchings family years ago at Rockhurst HS. May God bless all of you. My grandmother, Beulah Hawkins, cherished her neice, Joanne. In her later years, visiting with Joanne was always a special occasion. I am thankful for Joanne’s kindnesses to her. Quite a lady.